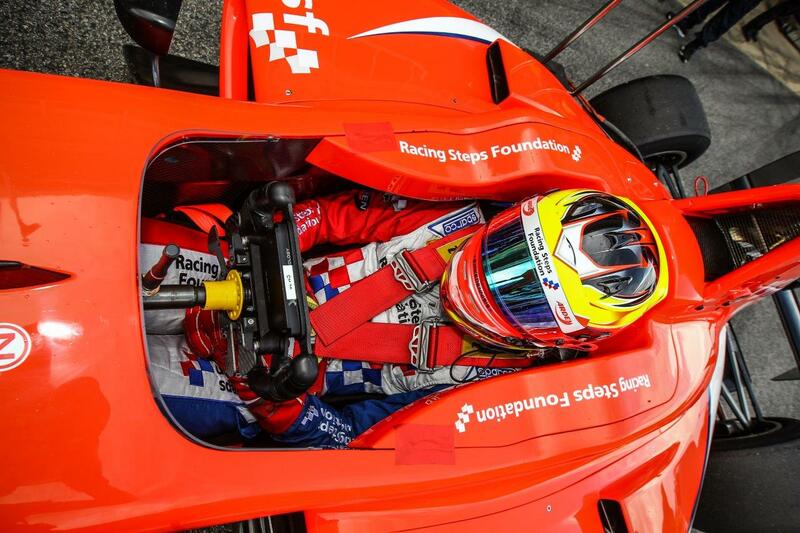 The Racing Steps Foundation-backed driver is making the step up from the FIA European Formula 3 Championship with the Arden International squad. After a slow start to the session, he which Dennis set a benchmark time good enough for 11th place, Jake began his charge his earnest with 15 minutes remaining, setting the quickest time for provisional pole before he was quickly bettered by team-mate Jack Aitken. With drivers all setting off on their final runs with five minutes remaining, pole position soon switched multiple times. Dennis was initially able to improve to third position, before many drivers experienced traffic with all 24 cars on track. Despite setting a personal best first sector, Dennis was unable to improve on his final lap, leaving him in fifth position. The DAMS team scored a qualifying one-two on its GP3 debut, with Jake Hughes on pole ahead of Kevin Joerg.